Service kit, oil, air, fuel filters, sump washer & spark plugs, Nissan Figaro 1.0 turbo. NN00001K2. 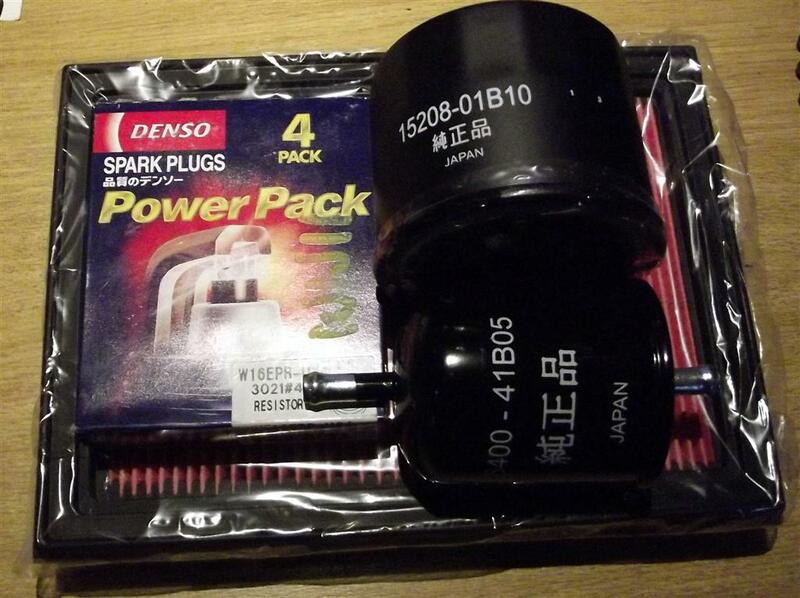 Service kit, contains oil, air & fuel filters (quality, Japanese parts), sump plug washer & OEM NGK or Denso spark plugs, Nissan Figaro 1.0 turbo. This is a special internet only price, not available over the phone.